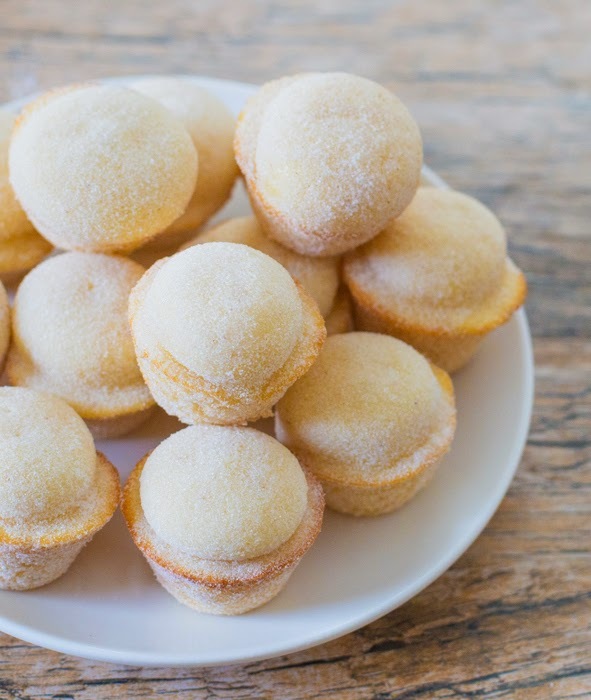 These fluffy little muffins taste like old-fashioned donuts, but are baked instead of fried. The make a perfect treat any time of the day. 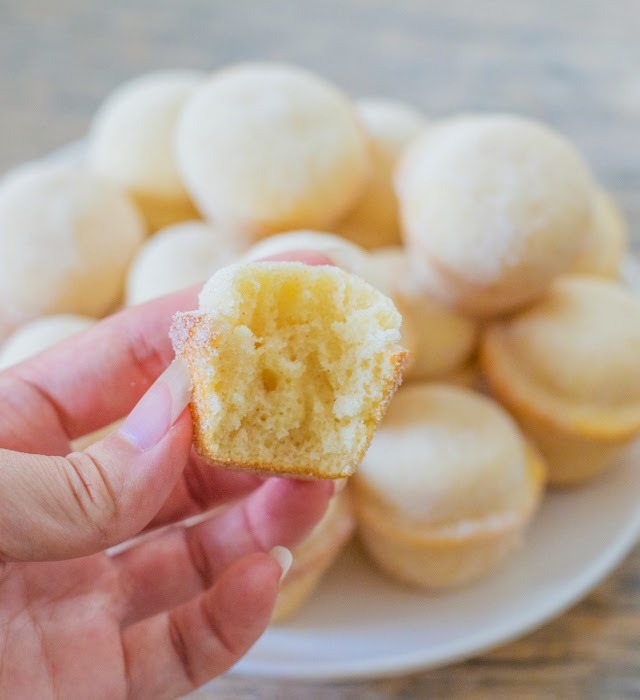 These mini donut muffins are one of my favorite recipes. 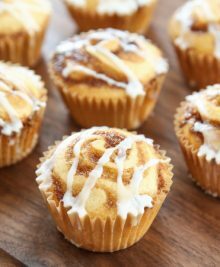 I recently went to a really fun BBQ/game night party and brought these sugar donut muffins for dessert. I’m going to keep this post relatively short. I’m pretty exhausted after being at San Diego Comic Con for the past four days. Waking up at 4am, walking more than 10,000 steps a day, trying to get through all the insane crowds, it really takes a toll. When I’m fully recovered I’ll share a few pictures. Some of the highlights of my weekend included getting sketches from Tokidoki artist Simone Legno, winning one of the coveted LEGO mini figures raffled away, taking pictures with Game of Thrones actor Isaac Hempstead-Wright (Bran Stark), riding in the Gotham PD cab, and watching Jim Lee live sketch. Finally this year, I seem to be (sort of) getting over being completely star struck when I see a celebrity now. I used to be unable to think of anything to say, or I would just be gushing about how much I liked them, but this year I managed to behave semi-normally. It’s been a while since I made these, but they were as delicious as I remembered. Light and fluffy and they taste like old fashioned donuts but are healthier because they are baked instead of fried. The best thing is, you can mix the batter in one bowl and by hand. I love it when I don’t have many dishes to clean up after. 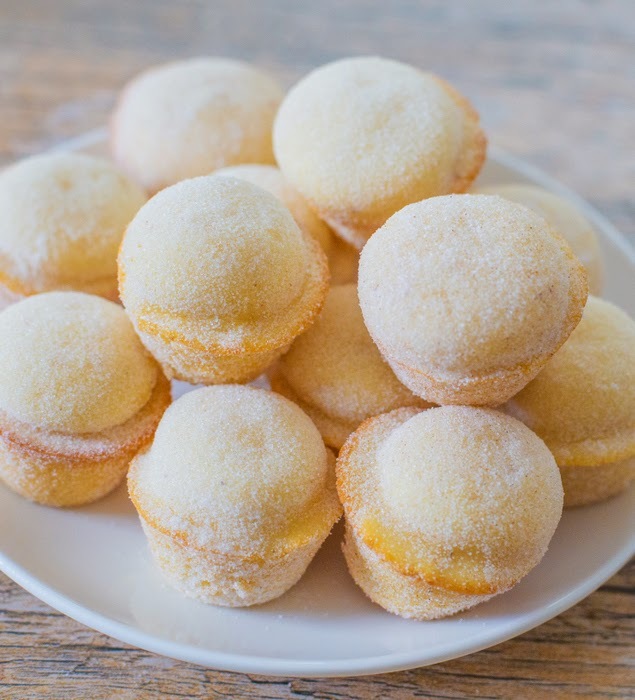 These fluffy little muffins taste like old-fashioned donuts but are baked instead of fried. They make a perfect treat any time of the day. Preheat oven to 350°F. 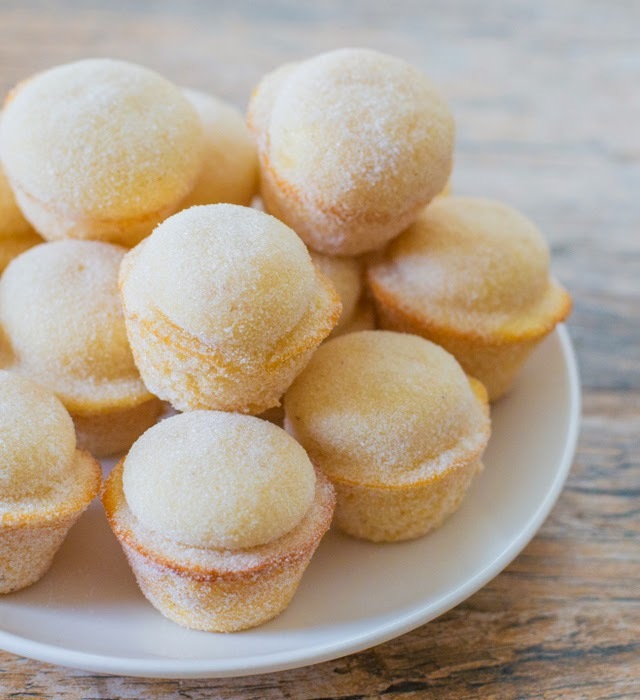 Grease mini muffin tin with cooking spray. In a large bowl, whisk together sugar and egg until combined. Add in remaining ingredients and whisk until batter is smooth. Mine did not turned out nice and fluffy, it didn’t rise as well. 🙁 I followed the recipe exactly. What could have been the problem? 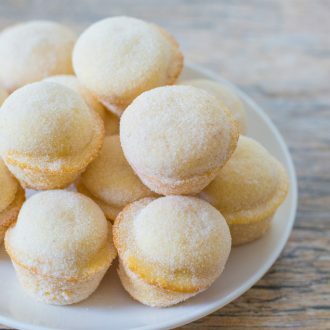 is your baking powder fresh? if it isn’t, it would cause the muffins not to rise. Hmm, I’m not sure what the issue could be then. I know this recipe works. It’s one of used a dozen times and shared with many family and friends and they’ve always had success. Perhaps you can have someone on hand to double check to make sure you got all the quantities right? i know sometimes I think i followed a recipe and then someone points out I did something wrong. 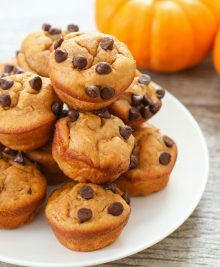 I love making them in mini muffin tins because they are the perfect bite! Would I be able to use regular milk instead of fat-free? I haven’t tried it with whole milk. 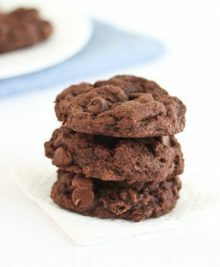 I’d recommend low fat or fat free if you are following the recipe exactly. If you use whole milk you may need to add a little more liquid than the recipe calls for to get the right balance.